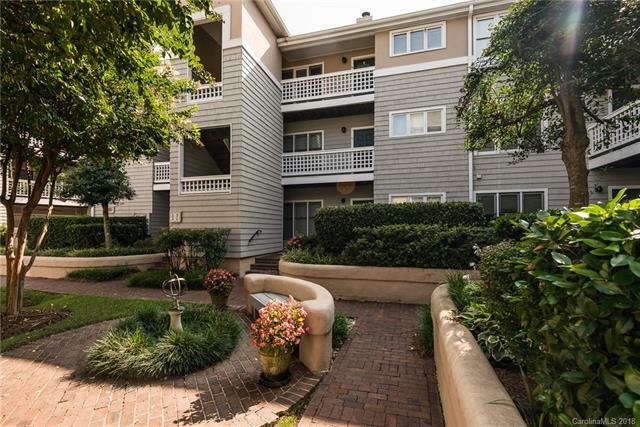 232 Queens Road #48, Charlotte, NC 28204 (#3427878) :: Robert Greene Real Estate, Inc.
Beautiful and spacious 3rd floor condo in the heart of Myers Park. Private deck off living area is perfect for entertaining, or relaxing alone and has a great view onto tree lined Queens Road. The Living Room features a wood burning fireplace and trey ceilings. All appliances are included! An assigned parking space is conveniently located right in front of the building's entrance. Ample visitor parking. Besides the desirable location, the neighborhood also offers a gorgeous pool area. very close to Metropolitan, Greenway, Elizabeth, etc. Minutes away from Uptown, Presbyterian Hospital, and CPCC! Tax Value reflects newly assessed value pending any appeals.